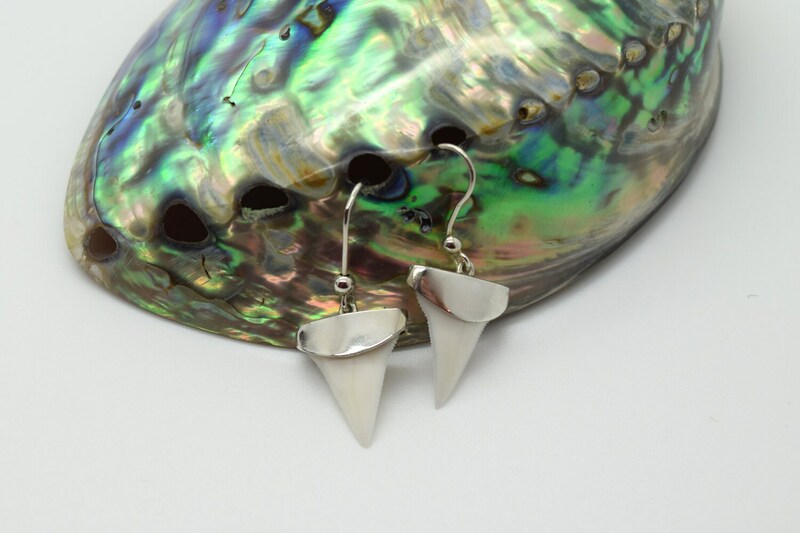 Indian River Shark Teeth Drop Earrings - Handmade with Solid Silver Fittings. They are upper teeth which are serrated, triangular and designed for cutting/shearing flesh. 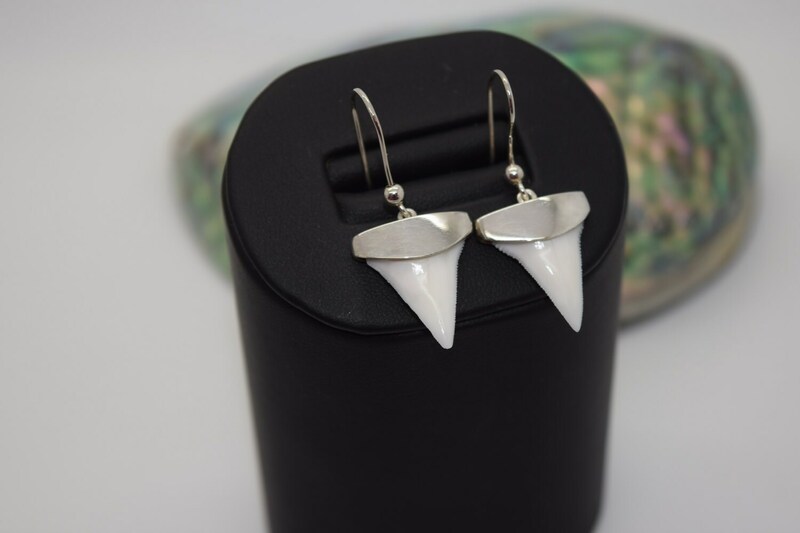 These genuine sharks teeth are sourced from sustainably managed fisheries or from non-threatened shark populations in India.